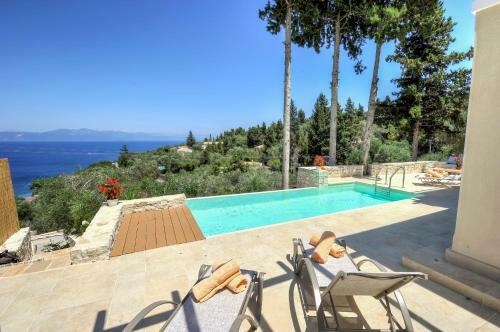 Apeiron I Villa is located in Ozias, Paxos. Apeiron I Villa common facilities include barbeque, tennis court	and outdoor swimming pool. The rooms provide sea view, pool view and garden view. Room amenities include a/c, heating, tv, fridge, etc. Free WiFi is available in all areas of the villa.